Conventional surface protecting processes have certain limitations that can only be overcome with thermal spraying. A&A Coatings, since its inception, has promoted cross-industry application of thermal spray coatings for building wear and corrosion resistance in different industrial components, such as valves. 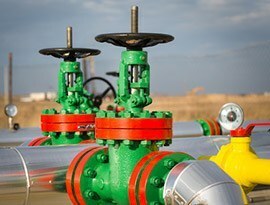 Since the seamless performance of valves is crucial to various industrial processes, we recommend a range of solutions to protect these components from wear and corrosion. The careful selection of coating materials is integral to the valve design process itself. A&A Coatings offers a wide selection of hard coating solutions for the valve industry. We use ceramic and cermet materials such as chromium oxide for hard-coating valves that are used in the chemical processing sector, and tungsten carbide and similar materials for oil and gas industries. Also, our metal-to-metal coating solutions are particularly applicable for ball and gate valves that are used in the petrochemical industry. Specialized HVOF coatings can help in keeping the valves tight during fluid handling. This prevents valves from erratic jamming (which is usually caused by solids and scaling). Friction fluctuation can also be brought under control. On the other hand, lower torque results in more minuscule actuators, thereby saving dimensions and costs. Our HVOF coating powders are also used for seat ring coating. When it comes to valve manufacturing and maintenance, A&A Coatings is highly confident that our coatings can help businesses to prevent costly replacement. Our coatings will enable your valves to stay well protected from the harsh elements and feature a longer service lifespan. We also promise highly competitive pricing and fast turnaround time for all your coating orders. Call us today to start experiencing the unparalleled expertise A&A Coatings has in the thermal spraying industry!